Details New York, a fumbling Woody, a spirited Diane Keaton and scripted introspective comical insecurity - that'll be four Oscars please. "A Nervous Romance" is the classic tag-line for this 1977 first release British Quad film poster. 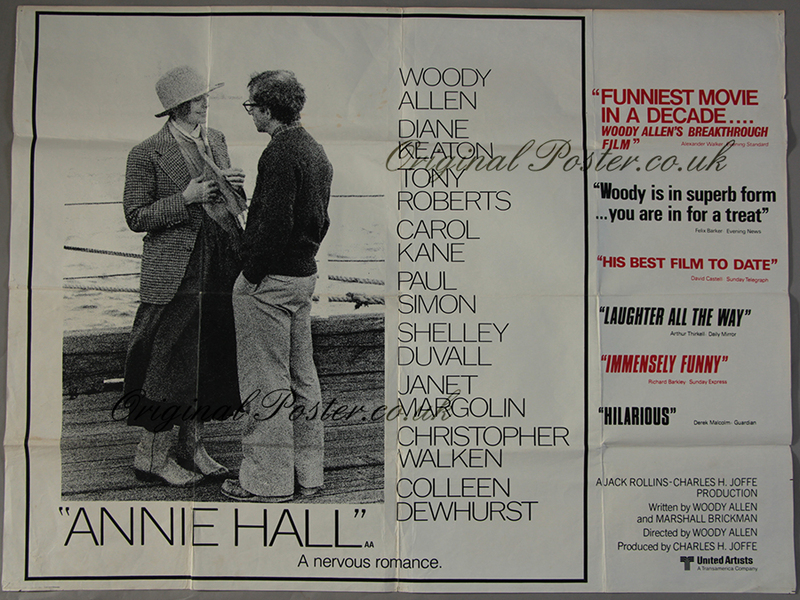 Please note this folded UK Quad has small light brown marks to the right of Woody's head otherwise this original film poster s in very good folded condition.